WINTER. It is here. The temperatures all around the country will fall to single digits and below 0. 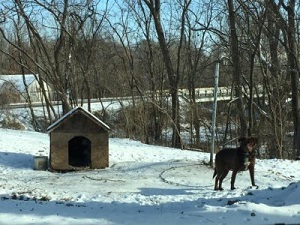 This is the absolute worst time for dogs to be confined by a chain or in a pen, unable to hunker down and fend for themselves. “Man’s Best Friend” should never be left, chained/penned, isolated and alone with little or no shelter, food or water, suffering day after day, week after week, month after month, year after year with no choice but to weather the storm. 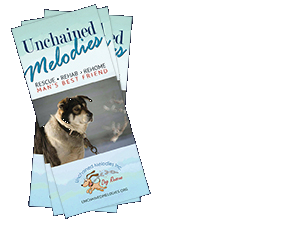 Unchained Melodies reaches out to find these poor, neglected dogs and offer help for them. We work directly with owner’s to educate them of the needs of these animals, and offer solutions. From a dog house with straw, to food, vetting and re-homing, we are there to help. Dogs can be reported to us through our Report a Dog form and we will reach out to the owners offering food, shelter, veterinary care and ultimately a new home where they can become a family pet. Because of YOUR donations, we can continue to rescue, rehabilitate and re-home the dogs that need us most. 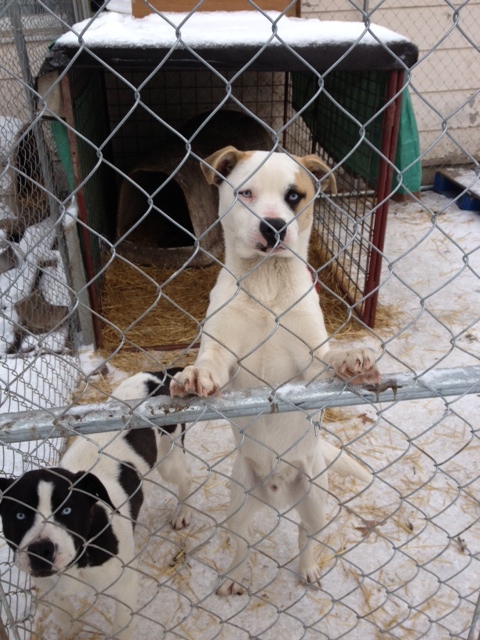 Chained, penned, abused and neglected dogs that have no voice now have a chance at a happy life. We will continue to educate, legislate and rescue these dogs until one day they will all be free from the pain and chain that binds them.